Sing Baby Sing is the internationally renowned tribute to The Stylistics soul band, the music act that was one of the best-known Philadelphia soul groups of the 1970s. Among The Stylistics’ hits that Sing Baby Sing reproduces faithfully are ‘You Are Everything’, ‘Betcha By Golly, Wow’, ‘You Make Me Feel Brand New’, ‘Stop, Look, Listen (To Your Heart)’, ‘I’m Stone in Love With You’, ‘You’re A Big Girl Now’, ‘You’ll Never Get to Heaven (If You Break My Heart)’ and ‘Can’t Give You Anything (But My Love)’. 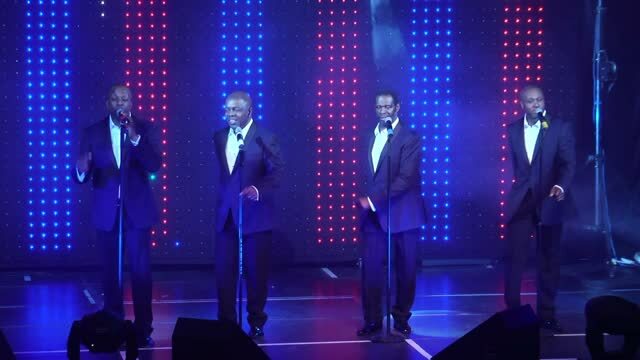 Sing Baby Sing – Derek Green, Roy Carter and Carlton White – can perform to pre-recorded backing tracks or with a four-piece soul band, depending on the event. Audiences love how they deliver gorgeous vocals mixed with the slick routines that The Stylistics were famous for. The pedigree of every member of Sing Baby Sing is impressive. Derek Green has worked with Stevie Wonder, Paolo Nutini, Pet Shop Boys, Brian Eno, Robbie Williams, Will Young, Kylie Minogue, Michael Jackson, Status Quo, Alison Moyet, Culture Club and Sarah Brightman. Roy Carter used to be the bass player for The Foundations and guitarist with The Drifters. And Carlton White has done studio and tour work with Swing Out Sister, Alexander O’Neal, Ruby Turner, The Blow Monkeys, Hazel O’Connor and Eddie Reader.